THE SPOTTED HARE: To all . . .
To all . . .
Wishing everyone a very . . . The sweet Mourning Doves chose our parsley pot to make a nest. their simple home was built the eggs appeared. In about another week the babies should hatch. What a wonder, right outside our back door! how awesome to have them make a home in your little potted parsley! What a lovely Mother's Day present. Just too sweet for words. Wow how unusual! 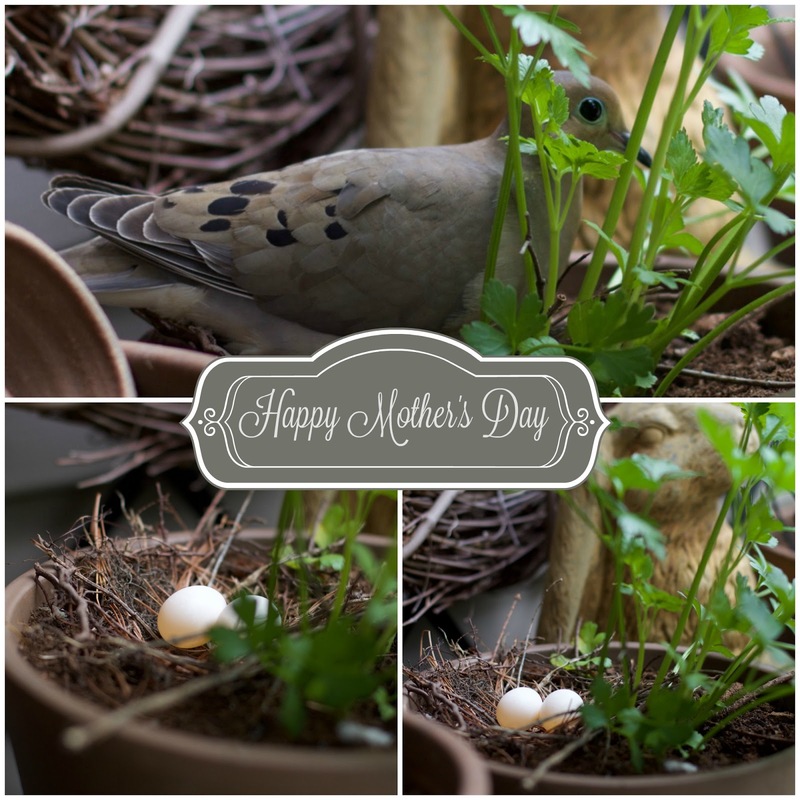 And such tiny eggs for the size of a dove. Robin eggs are bigger !